New 3-Reel Slot Machine 'Double Ya Luck' Goes LIVE! If you love the look and feel of classic Las Vegas slot machines games and you're also a fan of games with a twist, then you'll love Double Ya Luck! Traditional slot images and sounds will quickly put you in the right mood for hitting the spin button of this truly entertaining game. All types of bettors are welcomed to enjoy Double Ya Luck with a wide range of betting options with the minimum coin value set at $0.01. The scatter symbol in this game is the Dice and will trigger the Double Ya Luck board game feature where you'll be prompted to roll the dice and move around the board to collect special prizes such as instant cash, free spins, random 3 of a kind wins and the opportunity to collect theProgressive Jackpot! 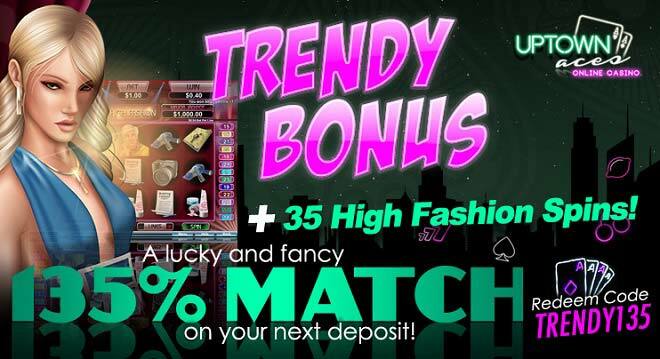 The double your wins free spins feature takes place when landing the Double, Ya, or Luck symbols. You'll initially collect 5 free spins and then you'll need to pick red or black for the chance to double your winnings, get free spins, or add a multiplier to the spins!